Hello friends! I’ve prepared First Holy Communion card with a bit of pink. 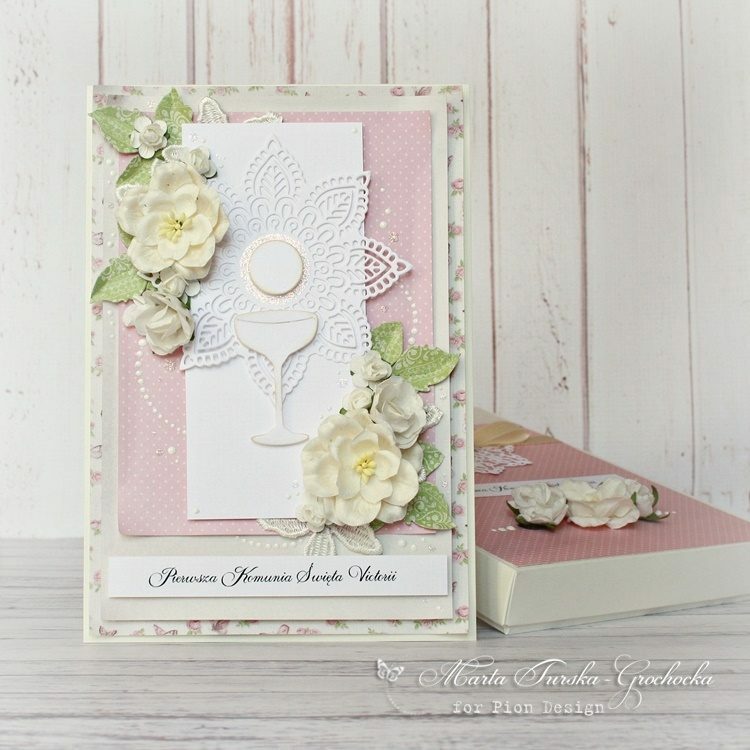 I’ve used My Dearest Sofia paper collection, which is great for delicate girly projects too. I’ve added some paper flowers and a paper doily. 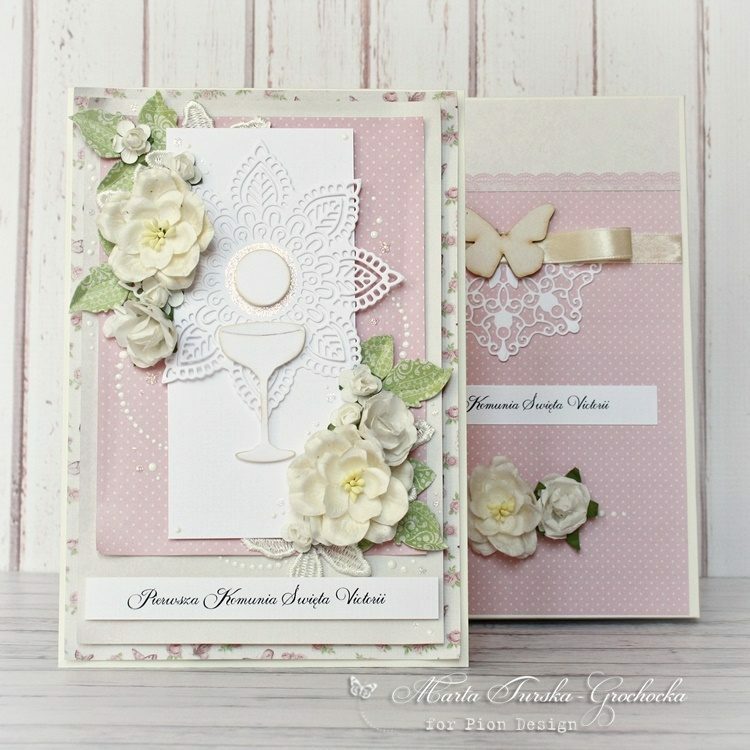 Such a sweet and saay card here in these soft pastel colors, that´s sooo perfect for this type of cards here.